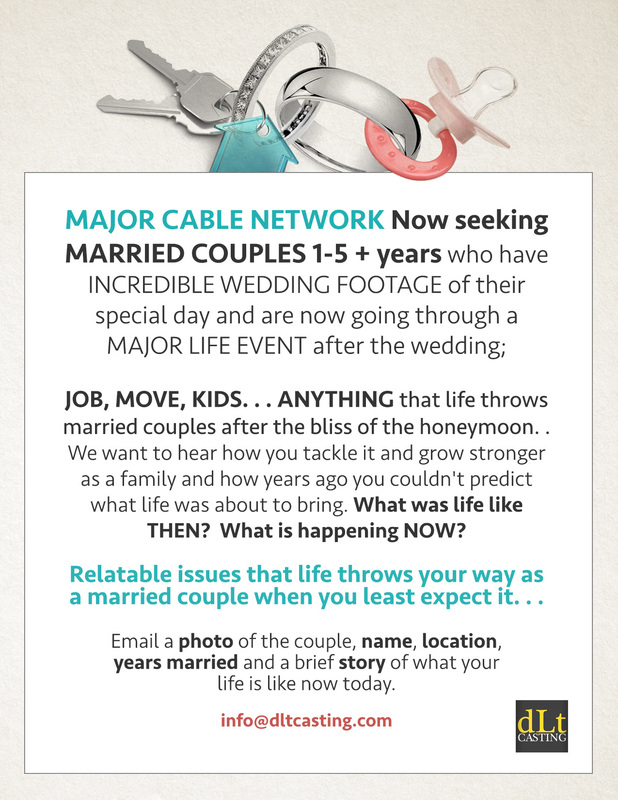 Casting Married Couples with a life changing story to tell! THE WEDDING VIDEO: What was life like THEN? A YEAR OR FEW AFTER THE WEDDING: What is life like NOW?